What could be better after a long week than relaxing with a cup of coffee or hot cocoa and the latest issue of your favorite magazine? Or maybe you’d like to browse our new books to see if your favorite author has released a new potboiler. 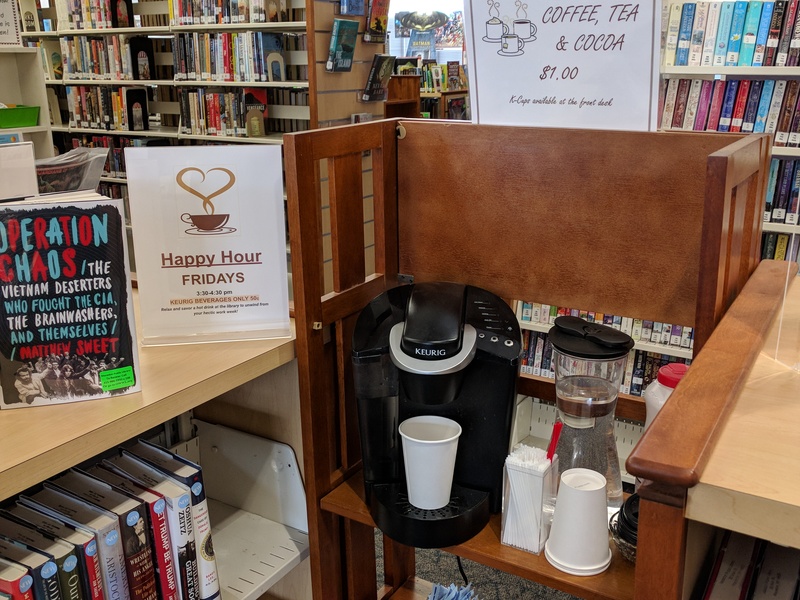 Bring the kids and they can have some hot cocoa and check out our iPad (for library use only) to play a game while you browse. All hot drinks are half priced during Happy Hour, fifty cents a cup. If you’re in a hurry to get home, come in a grab a cup to go. We hope to see you soon!